So I teased you guys with these little guys a couple weeks ago on Instagram and then got all caught up in brunch prep and totally forgot to share! 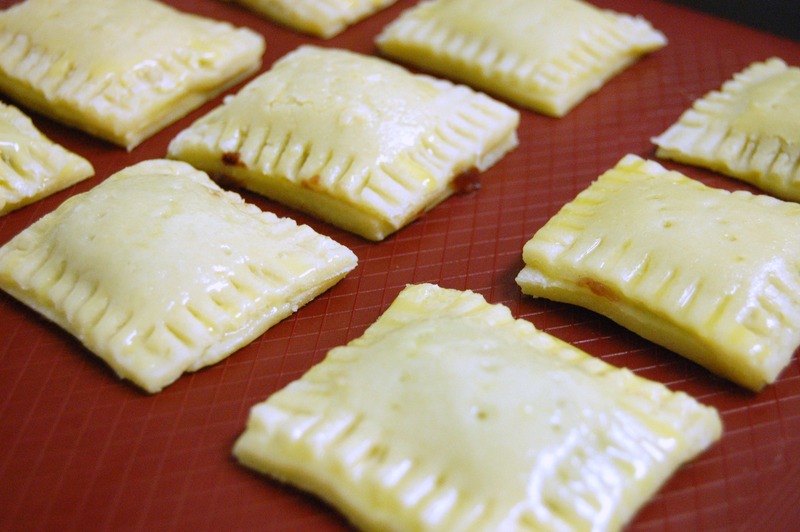 Which is so selfish because these bite size poptarts were one of my fave recipes so far, and they’re literally perfect for every occasion! Now, my pastry skills aren’t as pro as I’d like, so we were super lucky to team up with Lindsey from Sufficiently Suffonsified catering and get some extra help making these adorable little treats! 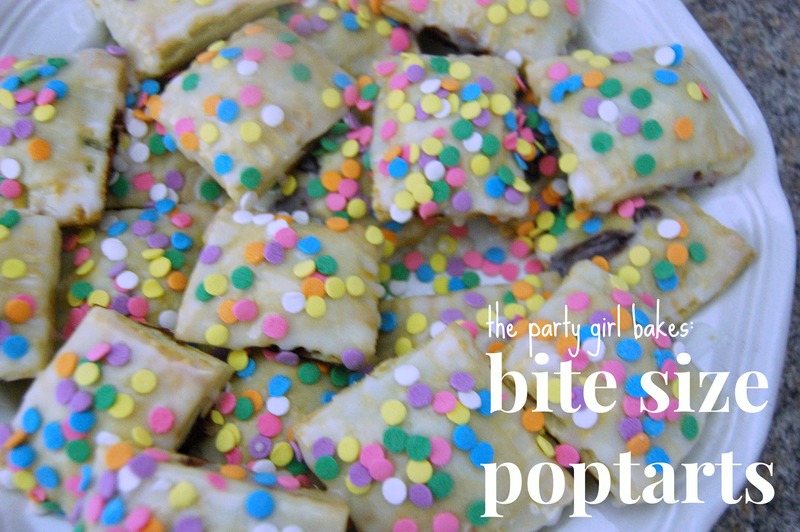 I was having the biggest craving for poptarts and thought how fun it would be to serve them at a brunch, so I came up with this idea to make bite size version that are totally addicting and perfect for sharing! 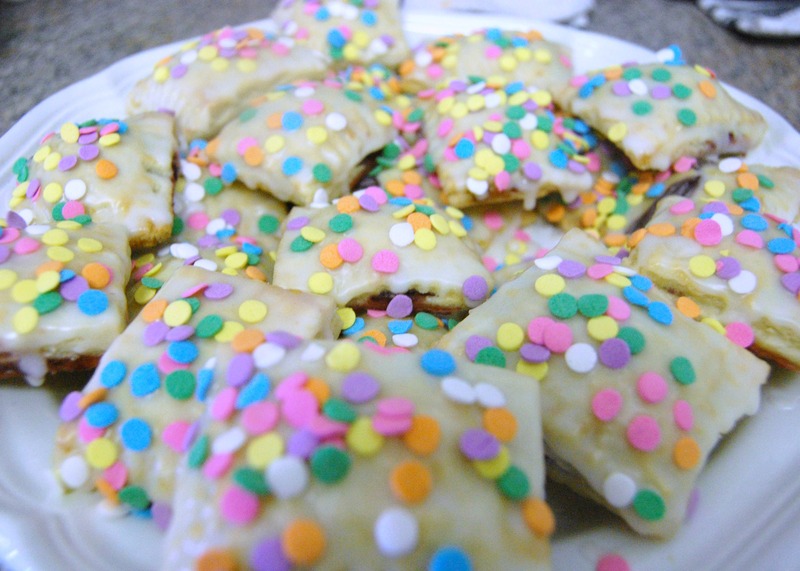 We adapted this recipe from Smitten Kitchen, but we didn’t make any cinnamon filled poptarts because I hate cinnamon. I’m the worst. 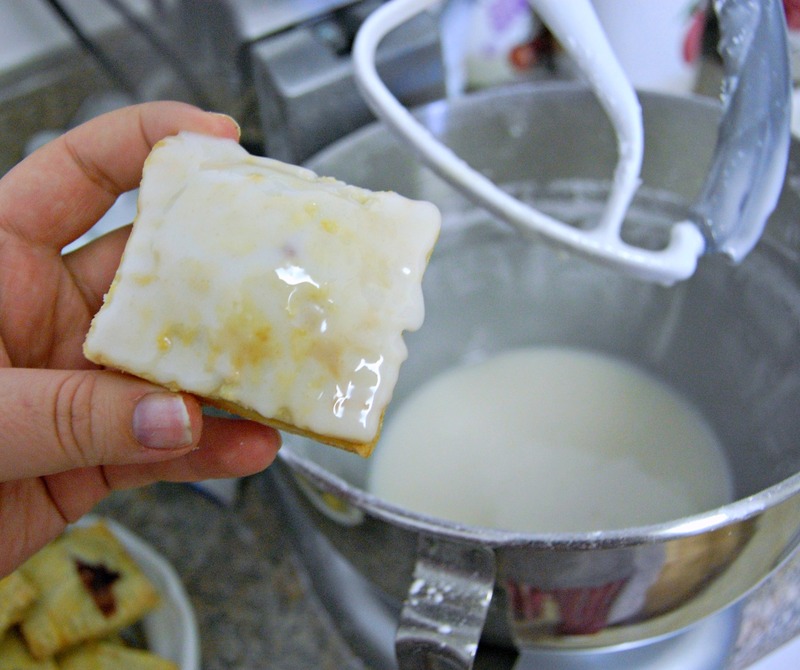 So, how can you make your own mini poptarts? Just follow us! Mix together the flour, sugar, and salt. You don’t need a mixer for this mix you’re going to get dirty, so don’t bother with that. Just mix it all together and then add the butter, using your fingers to massage everything until there are just little balls of butter visible, and everything lumps together when you squeeze it. If you’re familiar with pastry, this is pretty general stuff. 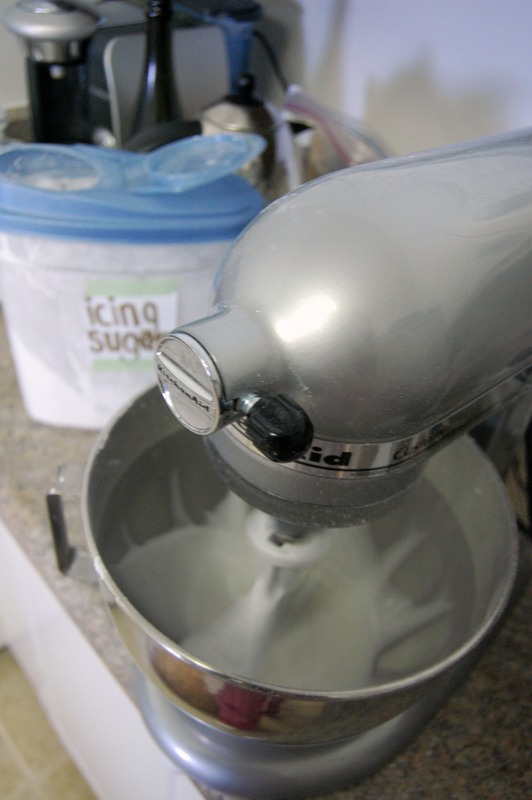 In a separate bowl whisk up the one egg and then and your milk. Stir this mixture into the bowl from step 1. Use your fingers and incorporate everything together. 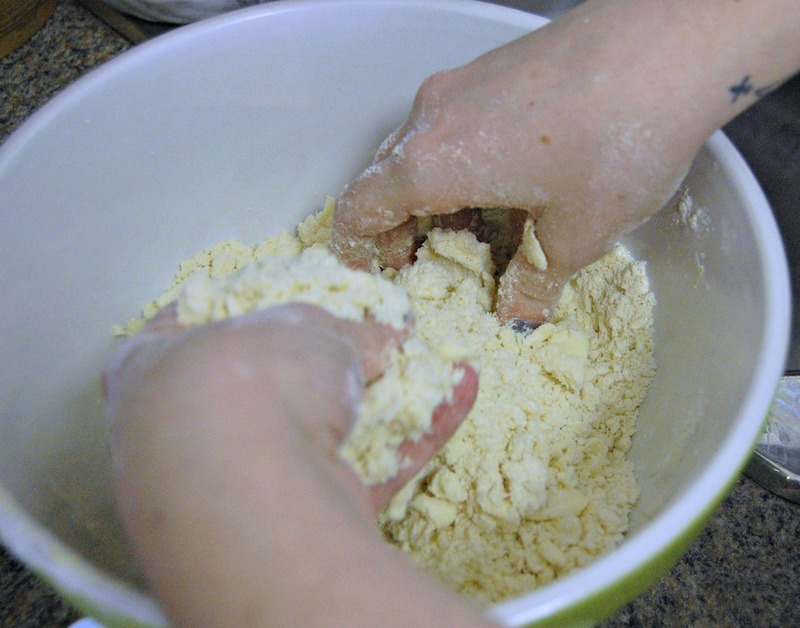 You can knead it if you want/need to, just make sure you flour your counter first! Divide your dough into two halves. 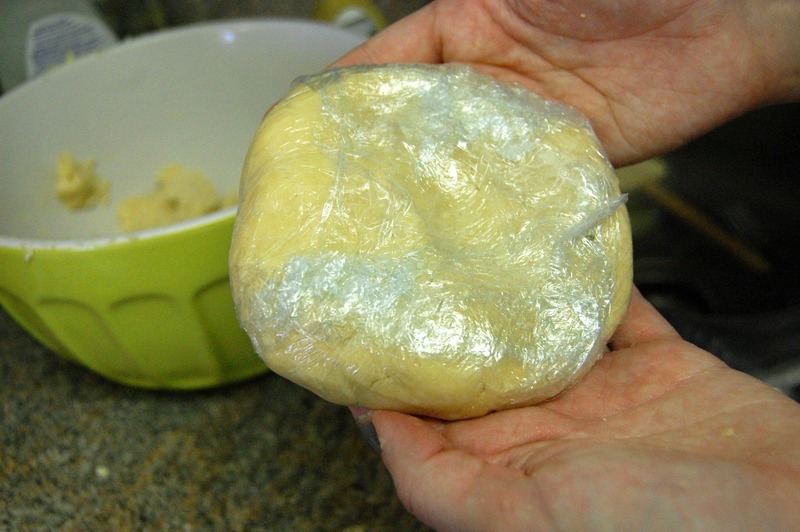 Lindsey suggests wrapping the dough in plastic wrap and popping it in the fridge for a bit. It’s easier to work with this way, especially if you’re working in a hot kitchen, and mine pretty much always is hot. While the dough was chilling, we got down to business with the jam filling. Mix the jam and the cornstarch/water mixture in a small saucepan. Bring the mixture to a boil, and simmer, stirring for 2 minutes. Remove from heat and set aside to cool. It seems pretty liquid at first but it will thicken up as it cools so don’t stress. The best part about the filling is you can use any kind of jam you want. We used triple berry because why not be wild, but if you have a favourite go ahead! You could also make chocolate poptarts if you’re into that, just melt about 9 tablespoons of chocolate chips or even use Nutella if you want! The possibilities are endless. Depending on how long you decide to chill your dough, you’re going to want to take it out of the fridge and let it sit until it softens up. Lightly flour your workspace and get to work kneading that ball of dough. When it’s more workable, roll it out into a large rectangle, about 1/8″ thick. Use a pizza cutter to slice your dough into small rectangles. You can vary your cuttings depending on how small your want your poptarts. Each rectangle will be a top/bottom for a tart, and remember you need room for filling, so cut accordingly. Once you have all your little rectangles, it’s time to get started assembling! Crack your extra egg into a small bowl and quickly beat it. Use a brush to apply the egg to the surface of your rectangle. This will make sure the top layer “glues” to the bottom layer. Add a spoonful of filling and lay the top rectangle on top. 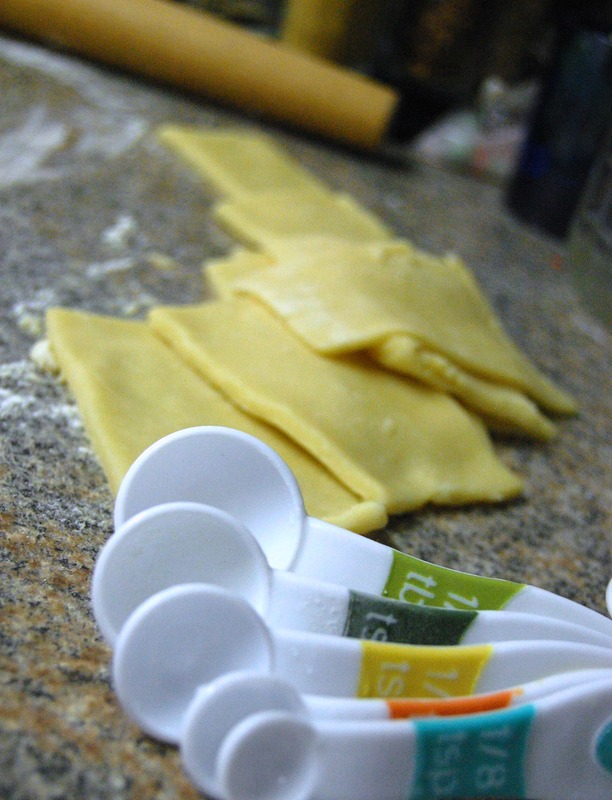 Press the edges together with your fingertips and go around the edges with the tines of a fork, lightly pressing them together. Brush some more egg onto the surface of the top layer. Use your fork to prick little air holes into the top of the tart so that the steam can escape and they won’t billow up and explode in the oven. Preheat your oven to 350°F. Place your tarts on a lightly greased cookie tray or on parchment paper. Bake in the oven for about 20-25 minutes, until their a light golden brown. Let them cool while you make the icing. You can use pretty much any icing you want for these guys. We wanted to make more of a glaze, so we used some icing sugar, water, and meringue powder. We didn’t measure, we just aimed for the quantity we needed (maybe about 2 cups) and then added enough water to bring it to the right consistency, and then about a tablespoon of meringue powder. You can play with those quantities, just taste along the way to see how you’re doing. Now for the most fun part: decorate! I fell in love with the confetti sprinkles so thats what I used, and they ended up looking so fun, definitely party-like. You could use anything though, or even just some powdered sugar or cinnamon if you’re into that 🙂 So there you have it, the perfect bite size treat to make breakfast (okay, or any time!) feel like a mini party!